Tomorrow is World Ranger Day. All over the world people will be paying tribute to park rangers. World Ranger Day is a chance to support park rangers all over the world who are fighting to protect wildlife. 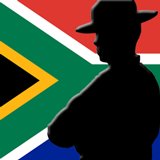 To commemorate the occasion, South Africa’s Springbok Casino is offering a World Ranger Day Casino Bonus up to 3000 Rands. South African online casino players can claim a 150% World Ranger Day Casino Bonus today and tomorrow by using coupon code SKDB150 when depositing. World Ranger Day casino bonuses available until July 31 only. "At a time when so much of Africa’s unique, magnificent wildlife is endangered," said casino manager Daniel van Wyk, "we thought it was appropriate to honor those that protect our lions, elephants and rhinos for future generations to enjoy." South Africa’s Springbok Casino offers hundreds of slots and table games from Realtime Gaming in its online casino and mobile casino.